AtlantaRoofing.Com prides itself on providing the highest quality of interior painting and exterior painting. As a result, we have remained one of the most respected painting contractors in the greater Atlanta area. Our team of professionals specialize in the most challenging of projects. Safety, skill, accountability and experience are some of the many strengths that we bring to each home painting or business painting project. AtlantaRoofing.Com provides experienced and quality residential and commercial painters for the greater Atlanta area. As a reliable painting contractor, we use a proper preparation and highly durable, high quality paint products designed for superior performance on all substrates. Our painting services offer a beautiful, long lasting, high quality, superior finish which will enhance the beauty & value of your home. 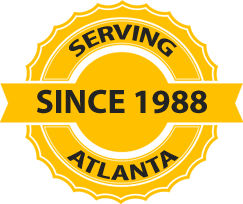 At AtlantaRoofing.Com our goal has always been and will continue to be really quite simple, ”Complete Customer Satisfaction”. We’re committed to educating our clients as to their painting options, while making every effort to save them money.